As I promised you during summer, I’m now back with the review of other products from new Lavera Trend sensitive line. Let’s check them straight ahead! I already described this product in this post before, so I will now only add the swatches of other 2 shades. You can see both of them in the top picture. Shade n.3 is called Fancy melon and is a matte bright pinky coral (is not too orange nor too pink). The other one is Cool Berry and is a medium wine red with cool undertones. 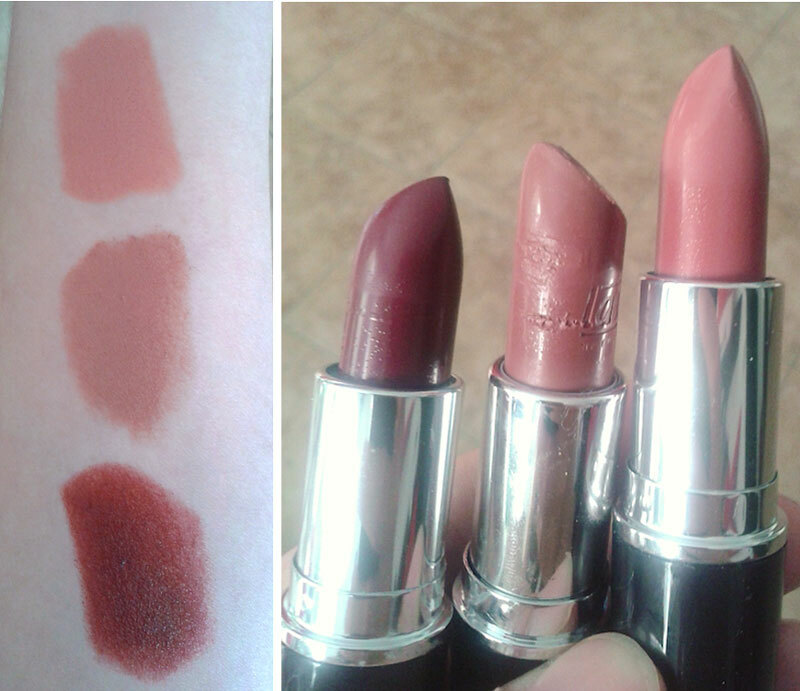 It’s fantastic that Lavera has added many new lipsticks and changed all the colours and formulations! The lipsticks are now much creamier and thus moisturising. They have 4 new shades in the Matte collection, 15 shades in the Beautiful lips collection and 2 additional for fall winter limited edition. 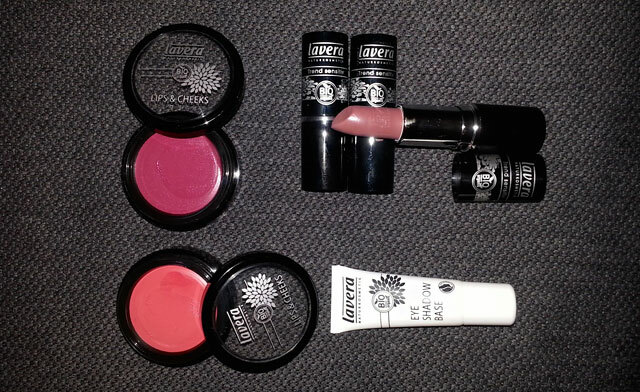 I will review 2 gorgeous shades from the Matte collection and one from the Beautiful lips. I didn’t expect to love this primer! You can see it on the top pictureIt comes in a small tube and it looks like a semi transparent gel. A little goes a long way and when applying it you need to work it quickly cause it dries. This is because it’s made to reduce the oiliness from the lids. 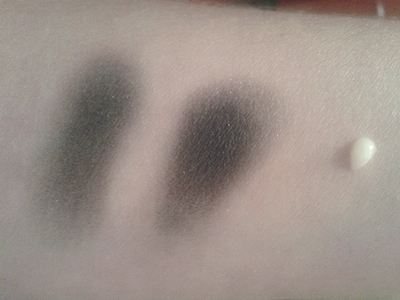 With the eyeshadow it gives not just a more intense colour, but it also prevents the eyeshadows to crease. A nice surprise from a natural brand. It can be compared to some “famous” primers. Along with the eye primer I couldn’t resist to try one of those eyeshadows 🙂 I’ve chosen this one because it’s a great choice for a classic day makeup that you can upgrade in evening with deeper colours all in one palette. 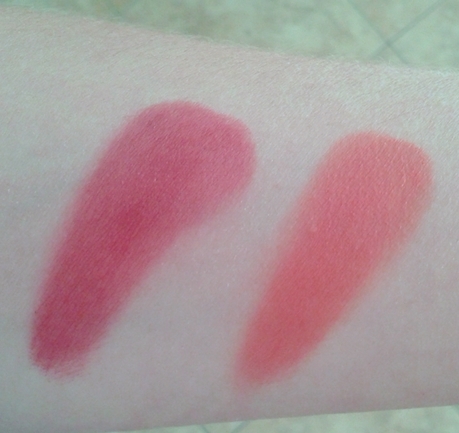 Except the lightest peachy shade which is slightly frost, others are matte. We have a medium browny beige, a medium warm plum and a warm chocolate brown. The intensity is very good as you can see in the picture. They blend easily and don’t crease in the lids. I wanted to try almost everything from the new collection. I’m surprised about the new glosses and blushes! I did a choice all in pink 🙂 The blush is a nice warm pink with a subtle golden shine, very pigmented! The lip gloss has an amazing vanilla scent and flavour and is also very hydrating, not sticky and it gives a nice colour on the lips. This one is a creamy pink shade. Last but not least: Yes I have the new mascaras as well and they are very good just to let you know 🙂 But I’m saving them for the next review where I want to present you and compare more natural mascaras. I know that many women today want to take care of their image, but usually they don’t have enough time for a complete make-up. 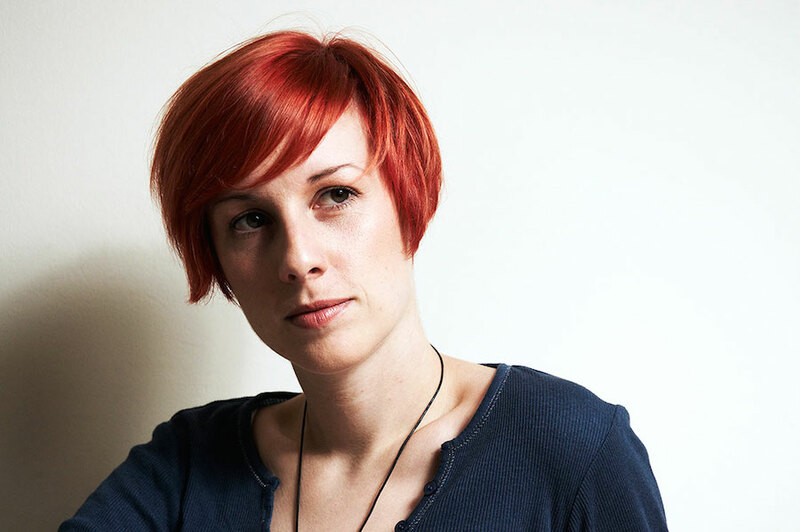 Think about busy mums, business woman always on the run,…Today, I’m going to share with you some quick tips to make you look fresh, natural and awake. Recently, I’ve tried some products from the new Lavera Trend sensitive collection and I want to take this opportunity to connect everything together. After having done your everyday skin care routine, that should consist of cleansing and moisturizing your face, start with the application of a liquid foundation. To get the healthy glow, apply liquid foundation with a foundation brush. 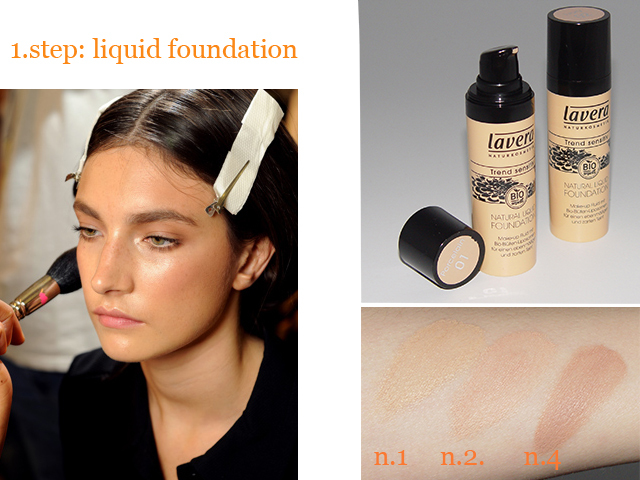 I’d suggest Lavera liquid foundation because of its good coverage and dewy look. It comes in 4 shades: Porcelain, Ivory, Honey and Almond. On the picture there are just 3 shades (without Honey). Porcelain is a light warm tone for light skin. Ivory is a slightly darker shade with a cool undertone. Almond is their darkest shade in a warm undertone, suitable for medium skin tone. You can mix together very well these shades, if needed. I only miss one or two dark shades. Otherwise, the coverage is medium and it covers good any imperfections. You have to work quickly when applying the foundation, cause it sets and dry quickly. In my opinion, I would not use a powder to set, unless the skin is very oily. I like this foundation because of its light texture and a natural healthy finish that it gives to your skin, thanks to organic nourishing oils and vitamins. 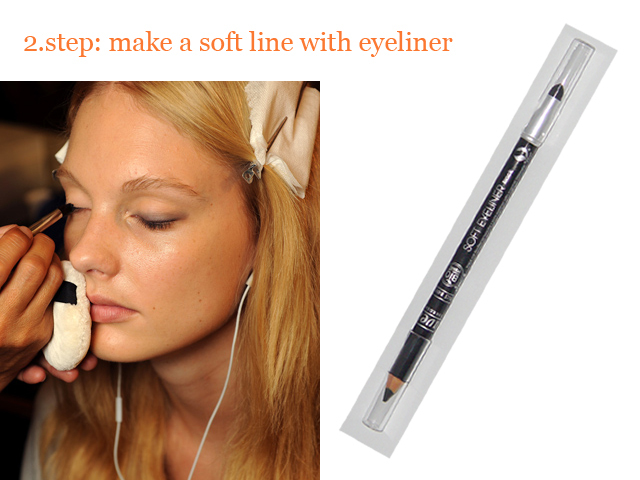 To enhance your eyes, line your upper lash line with a brown or black Lavera soft eyeliner. It glides perfectly on the skin and you can draw a precise and thin line, if you want. Use the brown shade for the day look, cause it’s more natural and blend it with the included sponge applicator. You will get a soft line and defined eyes. When drawing the line, you don’t need to be very precise, cause you will smudge it anyway. The Lavera soft eyeliner comes in 3 colors: black, brown and gray. If you want, curl your eyelashes and then apply a few coats of mascara. I have used Lavera Intense Volumizing mascara in black. The positive side is that the mascara wand is very precise, it separates the lashes very well, but I couldn’t say it is volumizing. It’s a nice mascara for someone who wants a natural look, but if you search volume & tons of black, this mascara, honestly, won’t satisfy your needs. We’re already at the end. The only thing missing is the color. This is a quick makeup, so we want a quick solution. The key is to use a creamy lipstick with a hint of color. Avoid deep berries, deep browns, beige or reds. Instead, choose natural peachy, apricot or rosy colors, that will bring you back the color on your face and enhance it. 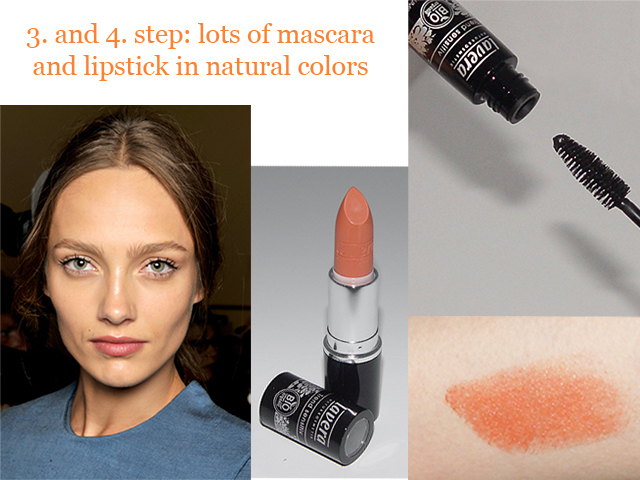 Lavera lipstick n.2 (peach amber) is a peachy warm shade with a matte and creamy texture, ideal for the day look. It is long-lasting and quite hydrating. If you want, apply on top just a touch of gloss. You can also wear the lipstick by just tapping it onto the lips and even blend it slightly on the apples of the cheeks to get the natural flush. As you can see, you need just a few products … and no excuses not to always look gorgeous! When you look better, you’ll feel better about yourself, too! I have ordered Lavera products from the Ecco-verde online shop, where you can find lots of great and safe cosmetic products for every need. They ship in EU countries (Ecco-verde online shops: Slovenia, Italy, Austria, Germany).